Committed to work in partnership with our customers along the clinical path. View our interactive booklet to learn how we can become Partners for Life, Advancing tomorrow's medicines. Learn more about our innovative microbial expression system for large-scale production of antibiotic-free therapeutic proteins. 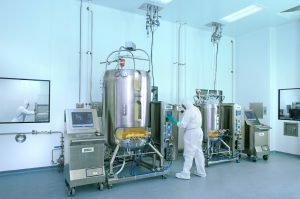 When determining the right type of biomanufacturing capacity for your biologics manufacturing needs, there are key considerations to take into account. When expanding your biomanufacturing capacity with single-use technologies, take into account these 5 considerations as you chose a supplier. Selecting a bioreactor platform should be a strategic decision depending on your biomanufacturing requirements. Consider your core technology to support you now and in the future. There are key considerations to take into account when expanding with single-use biologics manufacturing. These technologies readily enable duplicate capacity. CDMOs can ensure to meet demand with single-use biologics manufacturing technologies. We have 5 key considerations for securing your supply chain and future-proofing your organization. Bio-Ess Laboratories and FUJIFILM Diosynth Biotechnologies have collaborated on a study which has shown that Cell-Ess Universal Titer Boost allows for the replacement of serum in influenza virus production in MDCK cells. Dr. Andy Topping, chief scientific officer at FUJIFILM Diosynth Biotechnologies, talks about the science behind the work to be performed in the newly open Saturn Process Development Laboratories. 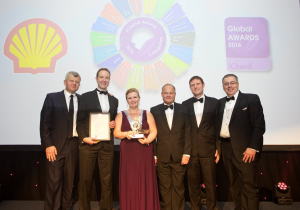 Winner of the Global Biotechnology Award at the prestigious IChemE (Institute of Chemical Engineers) Award ceremony held in Manchester, England. Arecor, CPI and FUJIFILM Diosynth Biotechnologies collaborate to apply smart formulation approaches in the manufacturing of biopharmaceuticals under a grant awarded by Innovate UK. In the Fall 2015 edition of Innovation Tech & Today, we are featured in an interview with Martin Meeson "FUJIFILM's Amazing Biotechnology". Read an article from our Head of Process Design, Dr. Graham McCreath, in preparation of his presentation on Process Characterization at ‪#‎BPIconf‬ in October 2015. After launching a new mammalian cell platform, FUJIFILM Diosynth Biotechnologies U.S.A., has acquired fast-track vaccine manufacturing knowhow and a major presence in Texas’ emerging biocorridor with Kalon, its first acquisition. Recombinant therapeutic proteins derived from E. coli require robust endotoxin removal, ideally performed using multiple process steps providing orthogonal and robust clearance. The complexity of cell culture processes, including media chemistry and process conditions, presents significant challenges to achieving desired monoclonal antibody (mAb) product quality optimization and control during process development, and scale up to manufacturing. To address these challenges, we present a development strategy targeting media, feeds, and process conditions using an established “tool box” approach. FUJIFILM Diosynth Biotechnologies a leading Contract Development and Manufacturing Organization (CDMO) with experience in the development and manufacture of recombinant biopharmaceuticals and gene therapies, has announced the reduction of cell line development timelines with its Apollo X™ Advanced Mammalian Expression System. 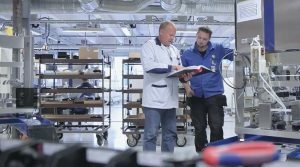 FUJIFILM Corporation today announced that it has entered into an agreement to acquire Biogen (Denmark) Manufacturing ApS, a large-scale biologics manufacturing site located in Hillerød near Copenhagen, Denmark from Biogen for approximately US$890 million in cash. 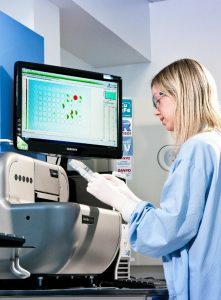 FUJIFILM Diosynth Biotechnologies (Fujifilm), a leading Contract Development and Manufacturing Organization (CDMO) with experience in the development and manufacture of recombinant biopharmaceuticals and gene therapies, has announced the introduction of its next generation Apollo mammalian expression system, Apollo X. The Apollo X advanced mammalian expression system is capable of delivering industry leading titres in excess of 10 g/L. This marks another milestone in Fujifilm’s growing cell culture capabilities and highlights the success of Fujifilm’s internal innovation programs. FUJIFILM Corporation (President: Kenji Sukeno) announced plans to invest approximately JPY 10 billion (approximately $90 million U.S. dollars) in order to expand its Bio Contract Development and Manufacturing Organization (CDMO) Business. This investment will include the expansion of existing production facilities at its North Carolina location to support the growing needs of its customer portfolio. Further investments are planned at the company’s other locations; details shall be announced in first quarter of 2019. Announcement of the extension of its gene therapy and viral vaccine Fill/Finish capabilities to provide services in support of late phase candidates and commercial supply. 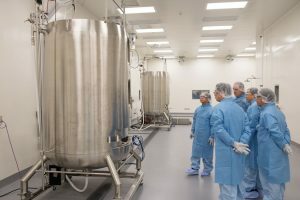 FUJIFILM Diosynth Biotechnologies (Fujifilm), a leading Contract Development and Manufacturing Organization (CDMO) with experience focused on the development and manufacture of recombinant biopharmaceuticals and Advanced Therapies, has announced the opening of its state-of-the art Flexible Manufacturing Facility (FBF) in College Station, Texas. FUJIFILM Corporation (President: Kenji Sukeno) today announced the on-time completion of Qualification activities, enabling commencement of cGMP operations for its Saturn™ mAb manufacturing facilities at FUJIFILM Diosynth Biotechnologies (“FDB”), a world leading cGMP Contract Development and Manufacturing Organization in College Station, Texas. In addition, FDB also announced the expansion of its Apollo™ cell line development capacity at its Billingham, U.K. site. 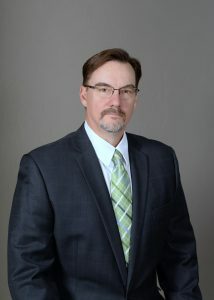 FUJIFILM Diosynth Biotechnologies, a leading global biologics Contract Development and Manufacturing Organization (CDMO), is pleased to announce that Martin Meeson, President and COO of FUJIFILM Diosynth Biotechnologies U.S.A., is scheduled to present at EBD’s Biotech Showcase 2018 event during the 36th Annual J.P. Morgan Healthcare conference week in San Francisco, California. FUJIFILM Diosynth Biotechnologies, a leading global Contract Development and Manufacturing Organization (CDMO), is pleased to announce that its Chief Executive Officer, Steve Bagshaw, has been awarded “North East Business Executive of the Year 2017”; a prestigious award organized by The Journal in Newcastle, U.K. and its sister paper, The Gazette in Middlesbrough, U.K. and in association with Brewin Dolphin. 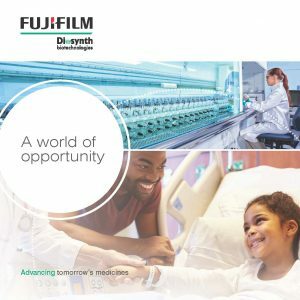 FUJIFILM Corporation (President: Kenji Sukeno) is to invest a total of 3.2billion yen on its CDMO* sites in the U.S.A. and the U.K. in order to accelerate the expansion of the company's business for developing and manufacturing biopharmaceuticals** under contract for other parties. 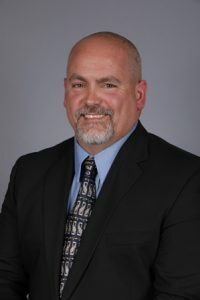 In addition to investing approximately 2.2 billion yen in a GMP facility dedicated to the production of monoclonal antibodies at the FUJIFILM Diosynth Biotechnologies (FDB) site in College Station, Texas, U.S.A., the company is also investing approximately 1.0 billion yen at its Wilton Centre site in Redcar, U.K., to expand the floor area of the development site of production processes for antibodies and install an additional facility. The new investment will expand the existing Saturn mAb™*** Process Development Laboratories dedicated to the development of monoclonal antibodies under FDB's Platform. From Fall 2018 onwards, the new facilities will ramp up operation, bolstering the company's ability to accept orders from its customers for process development and manufacturing in the field of antibodies. 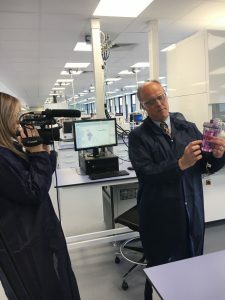 FUJIFILM Diosynth Biotechnologies has announced its opening of the 10,000 square foot, state-of-the-art cell culture Process Development Laboratories in Wilton Centre, Teesside. These laboratories were realized through a JPY1 billion ($9M USD) investment which is part of the greater JPY14 billion ($130M USD) expansion announced by FUJIFILM Corporation in April 2017. A grant from Let’s Grow, which is part of The Regional Growth Fund also contributed to the overall investment as part of FUJIFILM Diosynth Biotechnologies’ continued growth in the Tees Valley. The new facility will bring new sustainable, high tech jobs to the region. A dedication ceremony was held on September 12, 2017. “Fujifilm’s investment in a new facility on Teesside demonstrates the strength of the UK’s life sciences sector and brings more highly-skilled jobs to the region,” said Lord Prior. “The UK has a very strong science and innovation base and through our Industrial Strategy we are ensuring we continue to be at the forefront of pioneering research and the destination of choice for inward investment.” Lord Prior of Brampton and Mr. Daisuke Matsunaga, Consul General of Japan in the U.K. addressed the audience of local government members and the biotech community during the event. The new laboratories will be dedicated to support the Saturn™ mAb Platform cell culture Process Development activities. The Saturn mAb Platform™ is designed to enable rapid access to process development and manufacturing capacity. FUJIFILM Diosynth Biotechnologies, a leading global biologics Contract Development and Manufacturing Organization (CDMO), has announced the successful completion of its 100th program using its pAVEway™ Advanced Protein Expression system which was introduced to the market during the BIO 2007 convention in Boston, Massachusetts. FUJIFILM Corporation (President: Kenji Sukeno) will increase production capacity by investing about JPY14 billion ($130m) in the USA and UK in order to expand the business of its BioCDMO Division. 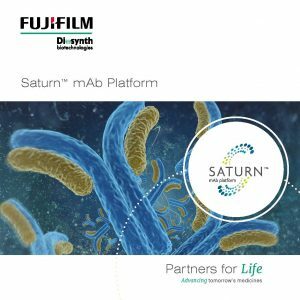 FUJIFILM Diosynth Biotechnologies, has announced the expansion of its Monoclonal Antibody development and manufacturing services with the introduction of its Saturn mAb Platform™. FUJIFILM Diosynth Biotechnologies, a leading global biologics Contract Development and Manufacturing Organization (CDMO), has announced that it is in the process of establishing a long-term collaboration with MSD, a global biopharmaceutical company known as Merck in the U.S. and Canada, to invest in and operate a large-scale microbial-biologics facility for supply of active pharmaceutical ingredient (API) to its customers. FUJIFILM Diosynth Biotechnologies is delighted to announce that Subhash Chaudhary, Director of Strategic Projects, has been awarded an MBE in the Queen's New Year Honours. FUJIFILM Diosynth Biotechnologies has announced the launch of its new mammalian expression platform, which it has named 'Apollo™'. 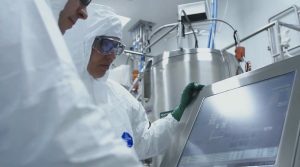 Synthetic Biologics, Inc. (NYSE MKT: SYN), a developer of novel anti-infective biologic and drug candidates targeting specific pathogens that cause serious infections and diseases, and FUJIFILM Diosynth Biotechnologies UK Limited (Fujifilm), announced today confirmation of exceptional results from the initial phase of cGMP manufacturing of SYN-004, Synthetic Biologics' proprietary oral beta-lactamase enzyme for the prevention of Clostridium difficile (C. difficile) infections. 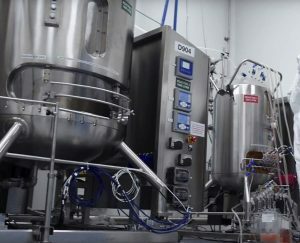 FUJIFILM Diosynth Biotechnologies has announced continued expansion of its cell culture manufacturing capabilities with the addition of two 2000L single-use bioreactors. One each of these is being installed at the company's sites in Research Triangle Park (RTP), NC, USA and Billingham, UK. Fujifilm Diosynth Biotechnologies has announced continued expansion of its process development capabilities with the investment of over US$5.6m in new laboratories and equipment at both its Billingham, UK and Research Triangle Park (RTP), NC, USA sites. This includes the first TAP ambr250™ automated bioreactor system for microbial fermentations to be commercially installed in a CDMO at the company’s Billingham, UK site. This investment further demonstrates the company’s commitment to use High Throughput technology and design of experiments to benefit its customers by rapid development of robust scalable processes for their biopharmaceutical production. 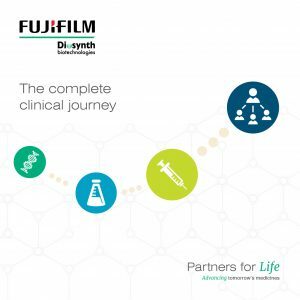 FUJIFILM Diosynth Biotechnologies has announced that it has received a renewal of its Manufacturer's Licence from the UK’s Medicines and Healthcare products Regulatory Agency (MHRA). The Licence authorises commercial manufacturing at the company's Billingham, UK site, and was received with zero critical or major observations. 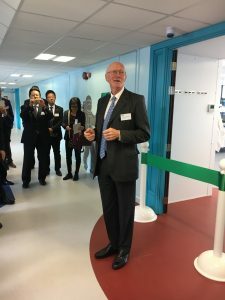 FUJIFILM Diosynth Biotechnologies today formally opened its new mammalian cell culture cGMP manufacturing facility at a ceremony performed by HRH The Duke of Gloucester KG GCVO, a member of the UK Royal Family. Synthetic Biologics, Inc. (NYSE MKT: SYN), a developer of biologics focused on the prevention and treatment of serious infectious diseases, announced today the initiation of the manufacturing process of the Company's proprietary beta-lactamase enzyme (SYN-004) to target the prevention of Clostridium difficile (C. difficile or C. diff) infections. 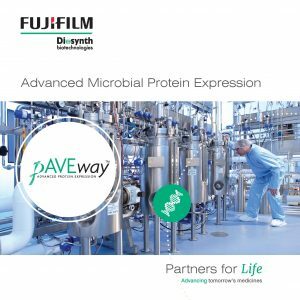 Pursuant to an agreement with FUJIFILM Diosynth Biotechnologies UK Limited (FUJIFILM), the initial phase of the SYN-004 manufacturing process is underway with the evaluation of beta-lactamase protein expression in FUJIFILM's pAVEway™ platform. SYN-004 will be evaluated for production cell line yields as well as biological activity of the enzyme product. 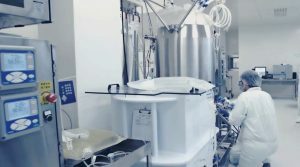 FUJIFILM Diosynth Biotechnologies has announced it has entered into a strategic alliance with Piramal Healthcare UK Ltd, whereby the two parties will offer the seamless contract development and manufacture of antibody drug conjugates (ADCs), a growing niche in the development of biopharmaceuticals. 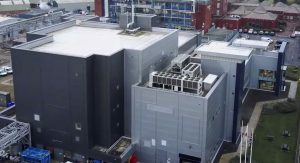 FUJIFILM Diosynth Biotechnologies has completed the first phase of a 3m ($4.5m) investment in new equipment and laboratories at its Billingham, UK site. This expansion reinforces the commitment to lead the global Biologics CMO industry through continuous innovation and implementation of new technologies, service delivery and quality, as announced by Japan-based parent company, FUJIFILM Corporation. 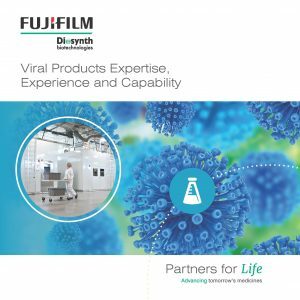 FUJIFILM Diosynth Biotechnologies and ContraFect Corporation announced today that they have signed a contract to support the process development and cGMP manufacture of CF-301, ContraFect’s Staphylococcal-specific bacteriophage lysin. CF-301 is ContraFect’s lead compound and displays potent activity against all forms of Staph infections, including methicillin-resistant (MRSA) and vancomycin-resistant strains (VISA/VRSA). FUJIFILM Diosynth Biotechnologies has been announced as the new name for the former Merck BioManufacturing Network (known as MSD BioManufacturing Network outside United States and Canada) following completion of its acquisition today by FUJIFILM Corporation of Japan. ThromboGenics NV (Euronext Brussels: THR), a biopharmaceutical company focused on the discovery and development of innovative treatments for eye disease, cardiovascular disease and cancer, announces that it has signed a 10-year supply agreement with MSD Biologics (UK) Ltd, part of the Merck BioManufacturing Network, for the production of microplasmin. ThromboGenics anticipates that this deal will meet its long-term commercial needs for bulk drug substance of this novel therapeutic agent. Learn the approach that our scientists uses to accelerate the development process from gene to finish by shortening the timeline, incorporating quality by design (QbD) principles, and designing the process to be as robust as possible. This guidance provides recommendations to applicants on preparing and using comparability protocols for postapproval changes in chemistry, manufacturing, and controls (CMC). This guidance describes our current thinking on defining, establishing, and documenting the responsibilities of each party (or all parties) involved in the contract manufacturing of drugs subject to Current Good Manufacturing Practice (cGMP). This technical webinar will go over key considerations to support manufacturing activities from the earliest stages of cell line, viral replication platforms and/or viral vectors identification stage leading into clinical production. Human error reduction should be a top priority of every organization. This webcast will share a method implemented by FDB to reduce human error, and therefore increase success rates. This presentation focuses on how FUJIFILM Diosynth Biotechnologies delivers on the mission of innovation. Recent regulatory initiatives such as Quality by Design and the new FDA guidance on Process Validation have resulted in expectations of greater levels of process understanding from developers and manufacturers of biopharmaceuticals. Identifying conditions that maximize the structural stability of a biologic’s native state is essential for developing therapeutics, formulations, and process development conditions. GE Healthcare hosted a single-use bioprocess symposium which brought together biopharmaceutical manufacturers and industry thought leaders to discuss some of the latest advances in bioprocessing. Below you will find a presentation from Stewart McNaull, Director, Development and Technical Services, who presented at the symposium. We invite you to be a part of the collaboration and learn about the insights shared at this event. 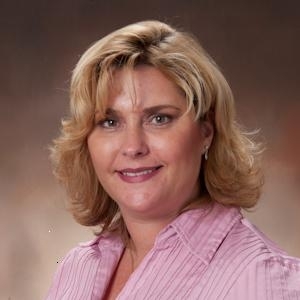 This webinar will look at a project to automate a single-use, final bulk filtration and dispense processing step at FUJIFILM Diosynth Biotechnologies. APPLICATION NOTE: Learn about our newest evolution of UV-vis spectroscopy featuring C Technologies, Inc.'s SoloVPE system. The biophysical characterization lab at Fujifilm Diosynth Biotechnologies- North Carolina site (FDBU), is operated in a development manner using non-qualified systems. Graham McCreath, Head of Process Design and Mahesh Shivhare, Senior Process Statistician discusses how small scale process modelling can be used in simulation studies to help predict the performance of a commercial biopharmaceutical process. The Escherichia coli pAVEwayTM expression system described here has been developed to ensure high product titres and efficient scale up to GMP manufacture, whilst minimizing many common issues seen in other expression systems, such as ‘leaky’ expression (expression of recombinant protein in the absence of inducer). 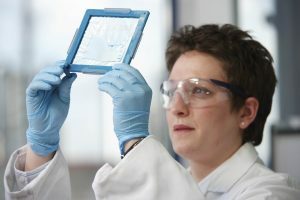 High-Throughput (HT) technologies such as miniature bioreactors (MBRs) are increasingly employed within the biopharmaceutical manufacturing industry. Traditionally, these technologies have been utilized for discrete screening approaches during pre-clinical development (e.g., cell line selection and process optimization). John Liddell, Ian Hodgson and Charles Heise are co-authors of this paper, in conjuntion with PolyTherics Limited, and UCL School of Pharmacy. The article, which describes the covalent conjustation of PEG site-specifically to a polyhistidine tag (His-tag) on a protein, can be viewed online on Bioconjugate Chemistry. John Liddell, Head of Process & Analytical Sciences and Ian Hodgson, Head of Molecular Biology, discusses how microbial hosts can be used to express a range of antibodies and antibody fragments. The keys to developing biomanufacturing processes which are efficient, robust and of high quality start during cell line and process development.